Smart Product Recommendation at first sight. Online experiences are personalized, but their physical counterparts are not. The same content plays regardless of who’s looking. It’s about the store and its products, not me, my interests, style and preferences. There is not enough personal relevance. Until now. The mirror that sees you and recommends based on your look. No need to login or checkin. It’s like looking at a mirror but much more fun. it’s a mirror that sees you. the color that complements your outfit, or this month's trend. 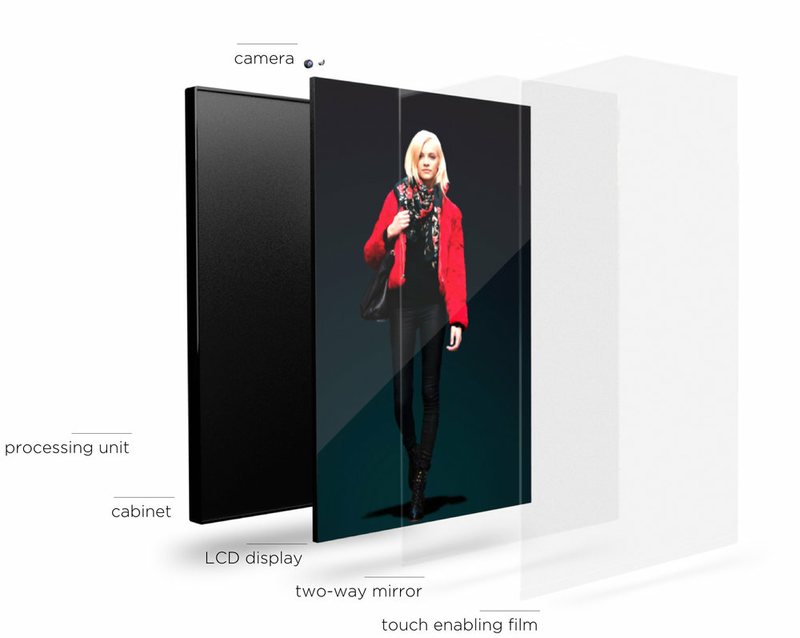 Minimalist and elegant design that integrates digital display, mirror and touch enabling film seamlessly.